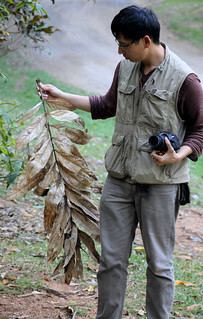 A common climbing fern of rainforest that twines up trees, particularly thinner boles. The spore arrangement is quite exquisite. 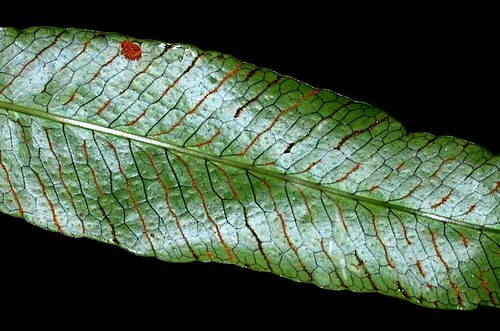 Closeup of sori, note how the sori follows the venation of the lamina. 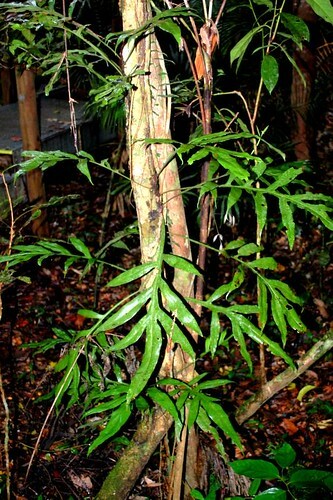 This entry was posted in Habitat - Rain forest, Lifeform - Climbers, Lifeform - Ferns, Polypodiaceae (Polypody Fern family) and tagged Colysis ampla, Polypodiaceae. Bookmark the permalink.